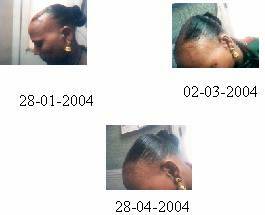 Mrs. Subhadra, F 46 years, suddenly lost her hair. Foul breath. Was tremendously timid, shy, unable to answer any question except moving her head in yes or no gesture. Has rigid musculature and dark complexion. Always feels better, in open air. Worse, after breakfast and bathing. Sensitive to warm- damp weather. carbn-s. bell. bry. caust. nat-m. phos. puls. rhus-t. carb-v. lyc. sep.
Rare peculiar- answers in gestures only- carb sulph single remedy, in third grade. Modalities matched with materia medica. Rx 28-01-2004 Carboneum sulph 1 M a single dose.Sac lac tds. 02-03-2004 Marked improvement. Hair developed. Sac lac. Another miracle of Homoeopathy with single dose.